It’s never too late to show gratitude for those who have served one’s country. 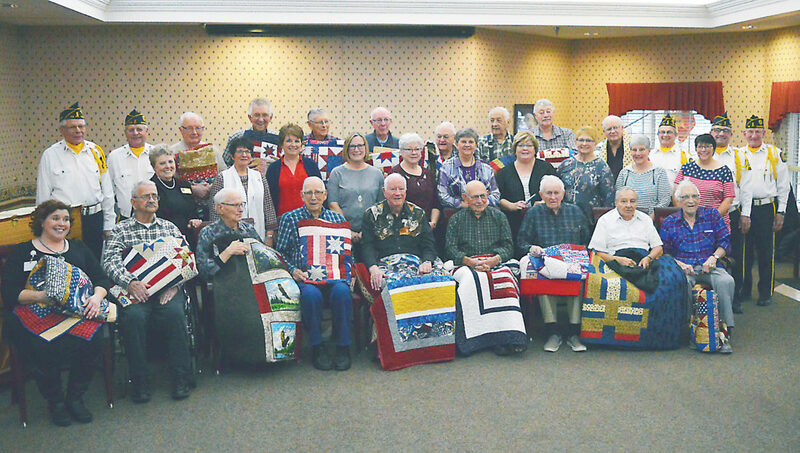 A local quilting group has given many unique and thoughtful gifts to area veterans in the form of special quilts. Photo by Jenny Kirk At the Boulder Estates’ Veterans Day program recently, 17 Marshall area veterans received special quilts from Quilts of Valor volunteers. The recipients are pictured with the quilters and the Marshall Post 113 color guard. The Pieces For Heroes, Quilts of Valor group based in Marshall is wrapping up its first year with presentations of handmade quilts to local veterans. The group made 37 quilts in its first year. Coordinators pay a membership fee to belong to the nationwide Quilts of Valor organization. They also spend about $250 per quilt for fabric, batting and thread, which is paid with help from donations. Each quilt takes about 50 hours of volunteer time to finish. The group meets twice a month in the morning for three-hour quilting sessions at the Adult Community Center in Marshall. In return for having a membership, group members have the right to nominate veterans to receive a quilt through the website www.qovf.org. Only the veterans who served in a time of war are eligible. Each nominee’s branch of the military and years of service are required as part of the nomination process. Nancy’s husband Don served for 27 years in the U.S. Army and U.S. Air Force. His tenure included serving in Vietnam. She is a longstanding member of the Blue Star Mothers organization that was started in 2003 in the wake of the Sept. 11, 2001, terrorist attacks. Nancy’s daughter, Angela, is a veteran of the First Gulf War in the early 1990s. She hopes the Quilts of Valor effort continues to grow in a way that reaches out to as many veterans as possible. 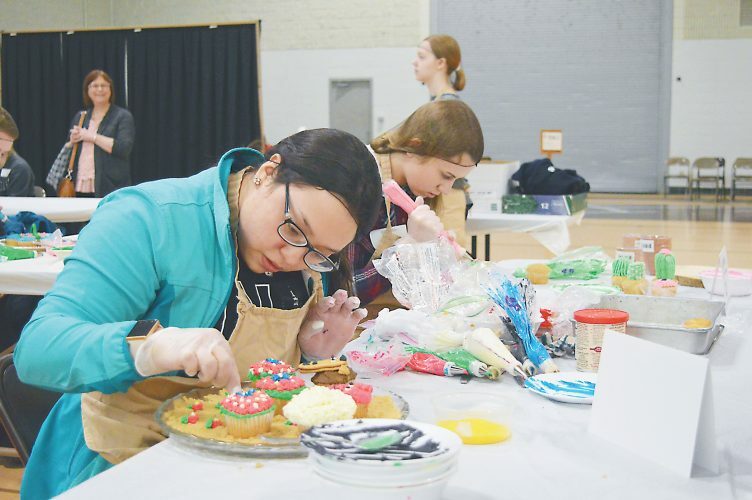 Quilts of Valor volunteer Marilyn Schmidt, a Wood Lake area neighbor of the McClain family, said she became interested in using her quilting skills on behalf of veterans out of memories of her father. He served as a hospital train ambulance crew member throughout the World War II Italian Campaign. He rescued wounded soldiers first in North Africa and then in Italy. The campaign progressed in a way that led to the liberation of Sicily, Naples, and then Rome. 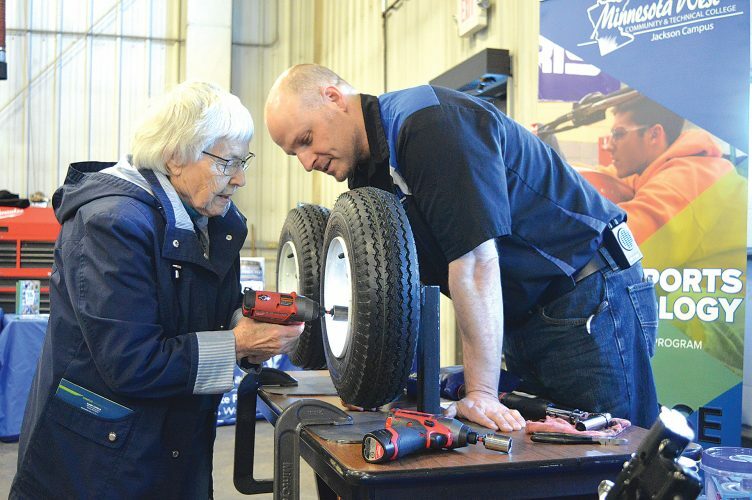 The group has also launched a youth program called Under Our Wings that aims to show young people the value of veterans as well as the joys of quilting. 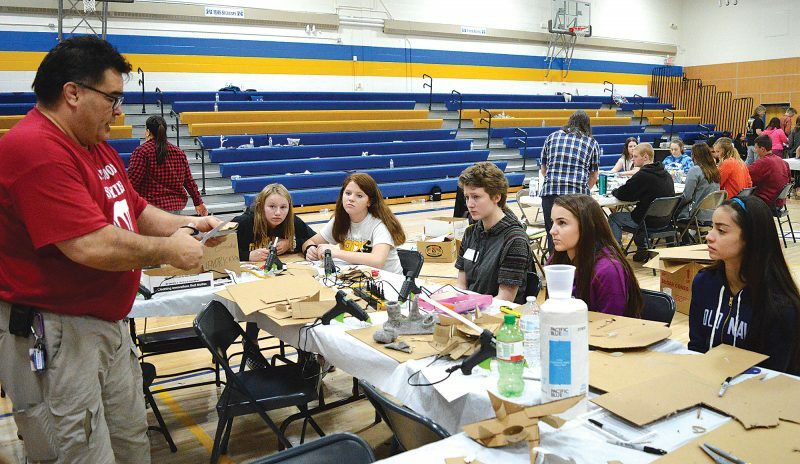 Programs have been given to Yellow Medicine County 4-H and the regional Girl Scouts chapter. Several men along with women volunteer to quilt for the project. Presentations are made to veterans either individually or through group events. Either way, veterans have an opportunity to meet the volunteers and share their memories and thoughts about whichever war included them. Fabrics Plus, a Main Street fabrics store in downtown Marshall, was asked to be an official Quilts of Valor sponsor. 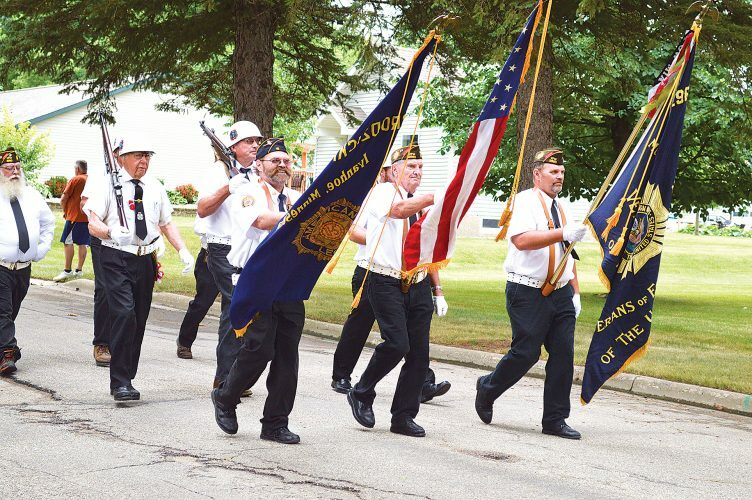 Tracey Veglahn of Fabrics Plus said the store was happy to sponsor the project as something that has potential to reach out to veterans who served their country in a time of war.